The LM-100J “FireHerc,” was introduced by Lockheed Martin at the Farnborough International Airshow (FIAS) 2018. The FireHerc is a civil-certified firefighting air tanker variant of the proven C-130J Super Hercules which the airlifter of choice for 18 nations around the world. A commercial freighter production model of the C-130J Super Hercules, the LM-100J is an updated version of the legacy L-100 commercial Hercules freighter. The new model is even flying at and on static display at this year’s Farnborough International Airshow. 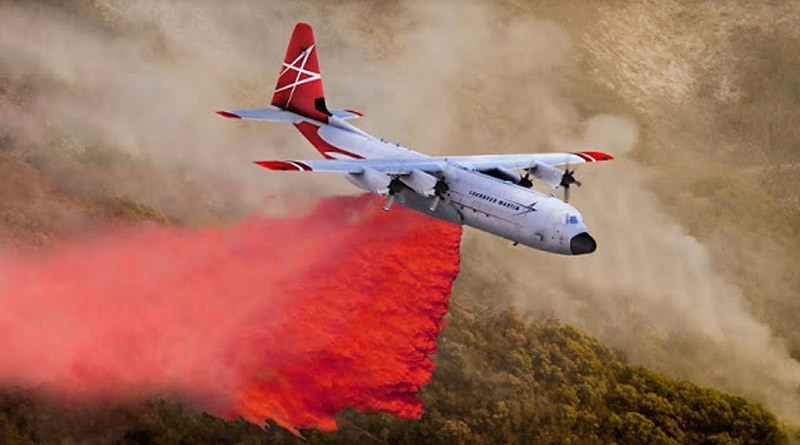 This aircraft plays a crucial role in firefighting since it disperses fire retardants to contain and control fires in a plethora of complex locations and terrains. Its turboprop power plant along with its straight-wing design allows it to excel in supporting this challenging low-level, low-speed firefighting mission profile like no other large air tanker in operation. forceindia, thanks a lot for the post.Really thank you! Much obliged.